Mi A1 Starts Getting February Security Patch - AndroGuider | One Stop For The Techy You! Android One devices get security updates every month from the device manufacturer. The Mi A1 is Xiaomi's first Android One smartphone and the device has received every monthly security patch since its launch in September last year. Xiaomi is a bit late with the February security patch for the Mi A1, but nonetheless, the update is now rolling out. The build number for the update is "OPR1.170623.026.V9.5.4.0.ODHMIFA" (yeah, it's quite long!). If your Mi A1 is running the January security patch, you would be getting an 87MB update. Like every month, the February security patch is divided into two levels dated February 1 and February 5. The latter patch consists of more fixes and patches than the former one. As a result, the February 5 security patch would secure a device more. 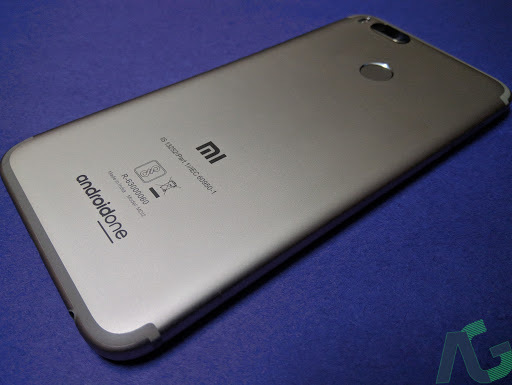 Android One devices are usually meant to be up-to-date in terms of security, but for some reason Xiaomi has always delivered the lesser secure patch to the Mi A1. This month too the Mi A1 is getting the February 1 security patch.